This project is another example of the quality built housing, which pairs customization and affordability. 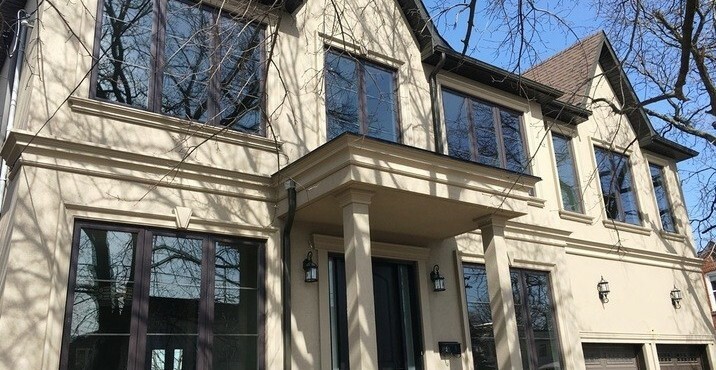 This home has many exciting custom features, like spacious master bedroom with spa like ensuite, custom designed windows and beautiful entrance door, elegant combination of brick and stone veneer in the exterior finishes. Nested in the heart of King City, this beautiful custom home is pleased to offer the ultimate in family living. 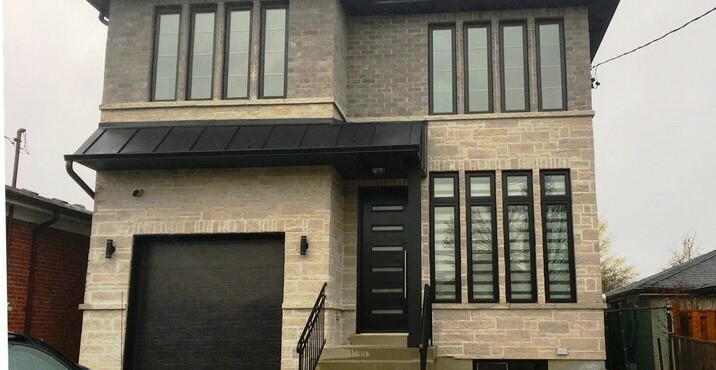 The traditional forms of the sloped roof, keystones and windows mouldings compliment the architecture of the surrounding neighbourhood, while contemporary large windows, straight lines of garage doors keep design clean and simple. 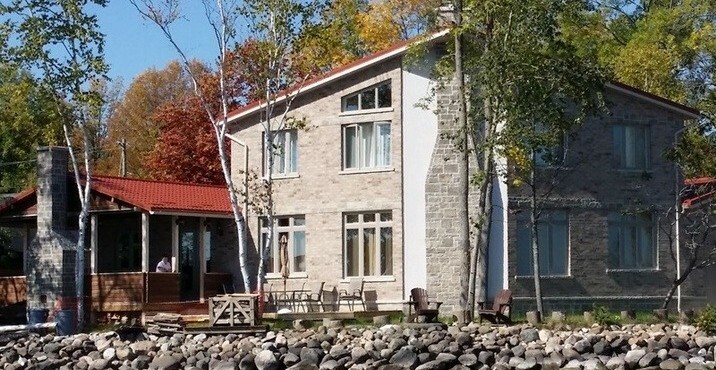 This beautiful home overlooks the water from its perch on the shoreline. The design offers the warm comforting air of a cabin, while maintaining high quality contemporary aesthetics. 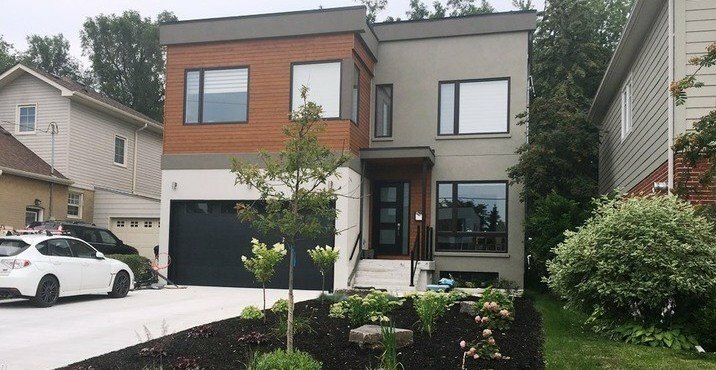 We were able not only to create a project that fit perfectly into the lot, but also utilized all its special and unique landscaping characteristic to maximize future satisfaction by our customer. 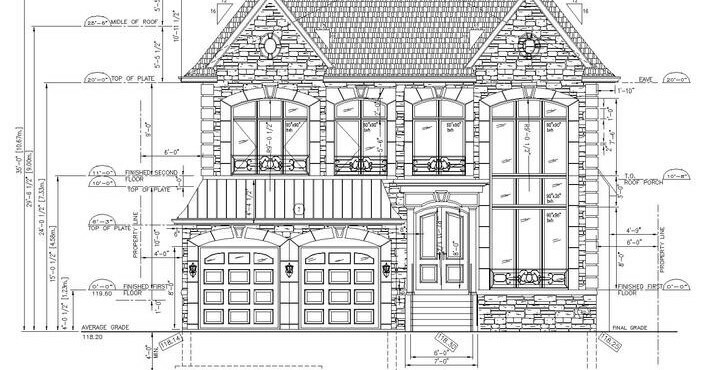 The lot for the proposed house magnificently poised above the Credit River, was listed on the City's Heritage Register. 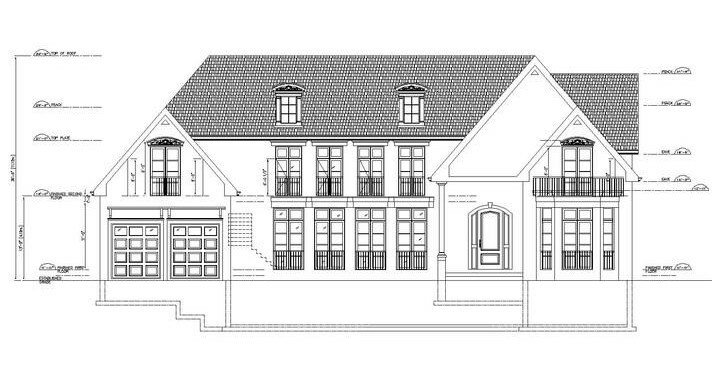 Prior to issuance of the building permit, we had to obtain the approval of the Heritage Committee. We developed a 2 storey project in the European-style which serve to define, maintain and support the historic character of the area.